It’s not just middle-aged men who are tempted to roar away from routine and responsibility in a sports car. But is there a quick fix for the midlife crisis? Although the feelings took hold shortly before Abi’s 50th birthday, she didn’t associate them with a midlife crisis. (‘No one wants to see themselves as a stereotype,’ she says now.) Her two children had flown the nest and she had nursed her mother through illness. When she died, she left Abi a substantial sum in her will. These feelings compelled Abi to step away from her teaching career and take off on a three-month journey across the Far East. When she returned, she embarked on a full-time MA in creative writing, during which her 25-year marriage collapsed. Eight years on, the whirlwind is over. Abi lives in a rented flat while her husband remains in the family home. She works as a freelance writer and runs poetry workshops; however, her main income derives from her pension. ‘I love my flat and the way I spend my days, but I do think about what happened and wonder if it was worth all the pain,’ Abi says. For many of us who haven’t experienced such a thing, the midlife crisis is a bit of a joke: the middle-aged man who has discovered Viagra and sped away from his family on a Harley-Davidson, or the menopausal woman, face frozen by Botox, trawling Tinder for a toyboy lover. To be continued on Wednesday…. The Queen welcomes questions concerning all issues of interest to women in their mature years. Send your inquiries to thequeenofmyself@aol.com. 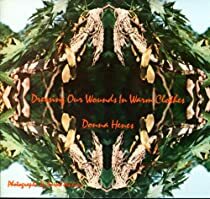 Donna Henes is an internationally renowned urban shaman, ritual expert, award-winning author, popular speaker and workshop leader. 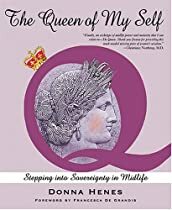 "The Queen of My Self"
"Dressing Our Wounds in Warm Clothes"
Donna Henes is an internationally renowned urban shaman, ritual expert, award-winning author, popular speaker and workshop leader whose joyful celebrations of celestial events have introduced ancient traditional rituals and contemporary ceremonies to millions of people in more than 100 cities since 1972. She has published four books, a CD, an acclaimed Ezine and writes for The Huffington Post and UPI Religion and Spirituality Forum. Mama Donna, as she is affectionately called, maintains a ceremonial center, spirit shop, ritual practice and consultancy where she works with individuals, groups, institutions, municipalities and corporations to create meaningful ceremonies for every imaginable occasion. What do Trees have to do with Peace?